The National Geospatial Intelligence Agency launched a public website Sept. 2 to provide unclassified information about the Arctic. The public website supports efforts to strengthen international cooperation, better understand and manage resources responsibly, enhance quality of life in the Arctic and maintain valuable and vulnerable ecosystems. The public site, accessible through www.nga.mil and located at nga.maps.arcgis.com, includes Digital Elevation Models that provide 3D representations of the Arctic's surface. The models, derived from NGA-sponsored DigitalGlobe commercial imagery sources, support land management, sustainable development, safe recreation, scientific studies, and domain-specific challenges inherent to aviation, transportation and defense. The DEM is the standard against which landscape changes such as erosion will be measured. NGA’s Arctic website also includes NGA nautical charts, sailing directions, shape files and infographics. 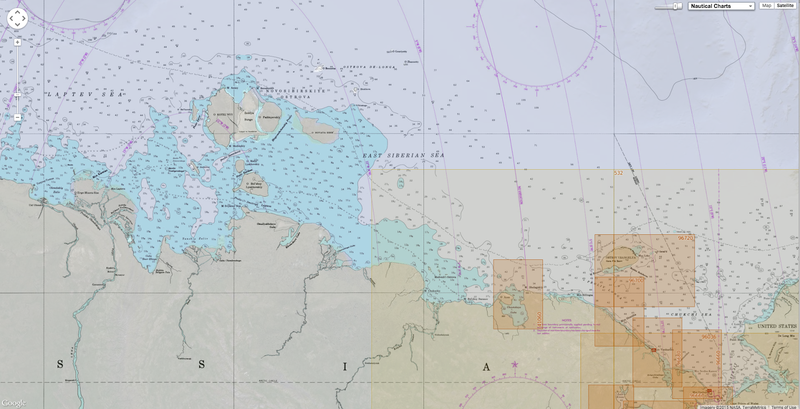 A large, downloadable Pan-Arctic map includes multiple layers allows users to focus on specific issues and information. Layers include search and rescue zones, ice extents, economic exclusion zones, bathymetric data, navigational and meteorological warnings, and potential energy sources. NGA is working with the National Science Foundation and the White House Office of Science and Technology Policy to support the Arctic initiative by producing and contributing publicly-available products and data layers as they become available. NGA’s work also supports the Department of Defense Arctic Strategy and the safety of navigation in the air and on the seas. 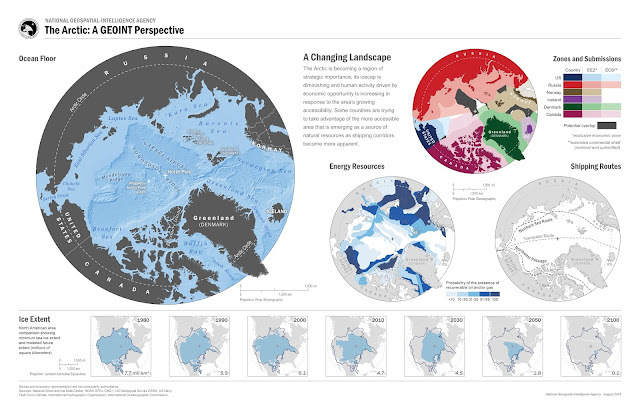 Wired : Spy Agency maps show how the Arctic is heating up"